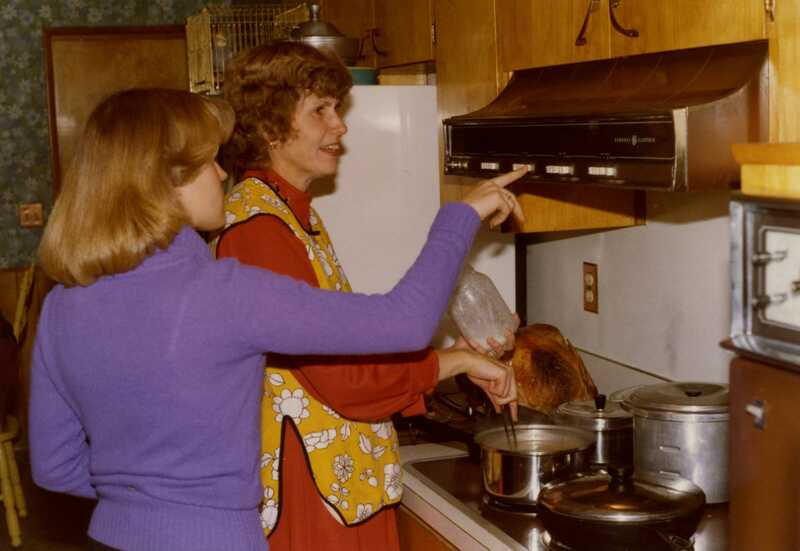 I think this is Thanksgiving 1980 or so. Looks like they are fixing gravy. That doesn’t look like a very big turkey, must have been a smaller gathering that year!